Haq's Musings: Time to Dump India Shares and Buy Pakistan and Hong Kong Equities? Time to Dump India Shares and Buy Pakistan and Hong Kong Equities? Indian shares are highly overvalued while Pakistan and Hong Kong shares are trading at very attractive valuations, according to latest data published by Bloomberg. The Indian shares listed in Mumbai are trading at nearly 22 times earnings, more than twice the price-earnings multiples of Karachi and Hong Kong listed stocks. Hong Kong's Hang Seng benchmark gauge for $4.3 trillion of shares was valued at 9.8 times reported earnings on Thursday, a 44 percent discount to the MSCI All-Country World Index, according to Bloomberg. That’s the cheapest level among developed markets worldwide and compares with a multiple of 10.2 for Pakistan’s KSE 100 Index. Russia’s Micex has the lowest valuation among major markets, trading at about 9.5 times profits. Talking about Pakistan, Charlie Robertson, London-based chief economist at Renaissance Capital Ltd. told Bloomberg that “It (Pakistan) is the best, undiscovered investment opportunity in emerging or frontier markets...What’s changed is the delivery of reforms -- privatization, an improved fiscal picture and good relations with the IMF.” Pakistan is a reform story like neighboring India’s, but only better, Renaissance’s Robertson added. 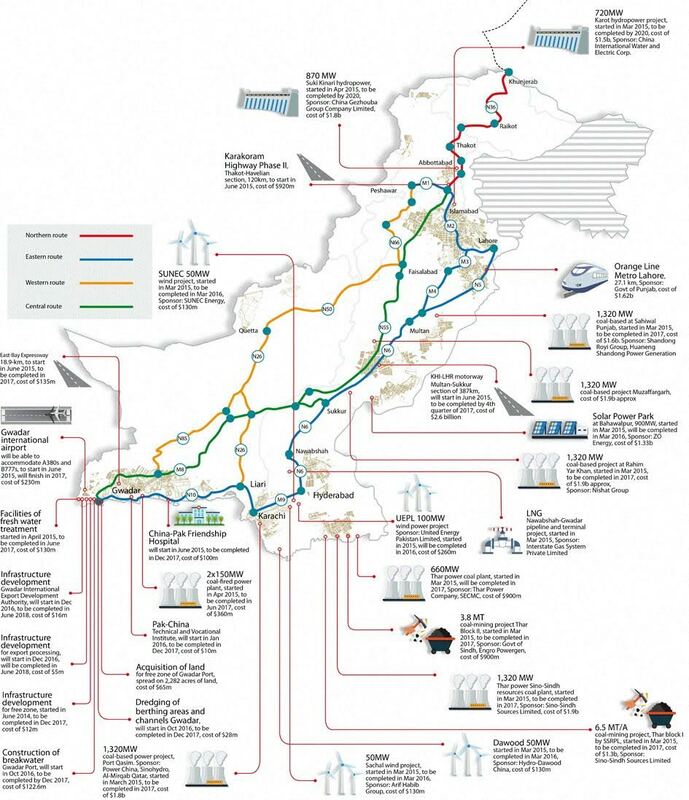 The massive Chinese commitment to invest $46 billion in Pakistan's energy and infrastructure projects as part of China-Pakistan Economic Corridor has added to the excitement about Pakistan's brightening prospects. China-Pakistan Economic Corridor (CPEC) is highly strategic for both China and Pakistan. It is expected to dramatically boost investment and trade activity in Pakistan via 29 industrial parks and 21 mining zones along the western, central and eastern routes. Karachi (New York of South Asia) stock exchange market capitalization: 72 US Billion Dollars. Mumbai stock exchange market capitalization : 1600 US Billion Dollars. Infina Finance Ltd., a Mumbai-based $190 million hedge fund, has turned the most bearish in a year on India’s stock market and will short if it rallies further. The long-short equity fund, which counts billionaire Uday Kotak and Kotak Mahindra Bank Ltd. among investors, is expecting a correction as foreigners allocate money to other regions and stock valuations become expensive. Indian equities have rallied as Prime Minister Narendra Modi pledged to revive investments and manufacturing while curbing graft after being swept into office a year ago. The economy grew by 7.5 percent in the January-March period, faster than the previous quarter’s 6.6 percent rate. The fund, which has the capacity to use leverage though it’s not employing it, has returned about 16 percent every year since its inception in 2008, according to Subramanian. Earnings for companies in the benchmark S&P BSE Sensex Index are estimated to grow about 31 percent in fiscal 2016. That compares with about 13 percent for those in the MSCI Emerging Markets Index. The Sensex’s valuation of 15.4 times projected 12-month earnings is about 30 percent higher than the MSCI Emerging Markets Index. The benchmark closed 0.9 percent higher at 28,020.87 points. It has added 1.9 percent this year. Foreigners have invested $6.3 billion in Indian equities this year compared with $9.9 billion in the first six months of 2014. Overseas fund managers bought stocks and bonds worth an unprecedented $42 billion last year, data compiled by Bloomberg show. The fund, which is currently managed by a five-member team that includes three analysts and a dealer, is branching out into private equity and plans to invest in sectors such as food processing, information technology and engineering-related startups. Infina is setting up a subsidiary in Dubai to invest in overseas markets, especially in U.S. equities. The unit, in which Infina will initially invest 2 billion rupees ($31 million), is awaiting approval from the country’s central bank. Aukat: "Karachi (New York of South Asia) stock exchange market capitalization: 72 US Billion Dollars. Mumbai stock exchange market capitalization : 1600 US Billion Dollars." That's exactly the problem...India's market cap is approaching its GDP which is unsustainable, while Pakistan's market cap is only a fraction of its GDP. It's one of Buffer's rules. India Market cap to GDP ratio swells to 4-year high; should investors be wary? The aggregate market value of all listed companies (in India) as a percentage of the country's nominal GDP is at its highest level in four years, global investment bank HSBC said in a report. As per the report, the ratio is at a 4-year high, although it is still way below the record high of 2007 when total market capitalisation as a percentage of GDP had reached 146%. The current market capitalisation of Indian companies is $1.6 trillion, which is 76% of 2014-end nominal GDP of about $2 trillion. Typically, when the market capitalization crosses the nominal GDP, the market is said to be overvalued. "As a thumb rule it is seen that in the developed markets market capitalization to GDP ratio should be close to 100% and for the developing economy it should be close to 80%," says D K Aggarwal, CMD, SMC Investments and Advisors Ltd.
"Generally speaking if market capitalization to GDP goes above 100% it signifies overvalued stock market. However in case of our economy, one should also take cognizance of the growth trajectory that Indian economy is likely to achieve owing to various measures initiated by the government and central bank," he adds. Also, rising market capitalisation is a function of two variables, say experts. First is, of course, the valuation of the already-listed stocks but equally important are additions to the universe of listed stocks. "As more and more companies approach the market through IPOs and get listed, the total market capitalisation increases accordingly," says Rajiv Shastri, MD & CEO, Peerless Fund Management Co Ltd.
"As such, one needs to look at this ratio (market cap to GDP ratio) not only from a valuation perspective. It can also mean that a greater proportion of the corporate sector is listed, a proportion that is sure to increase as markets develop and the economy matures," he adds. Expansion in market capitalisation happened due to considerable re-rating of most of the stocks in the past 12-18 months. However, earnings are yet to catch up. This may make stock prices unsustainable at higher levels. A slower-than-expected project execution nothwithstanding, market valuation has surged in the past year and a half, say experts. India's market capitalisation to GDP ratio compares well with other major equity markets. India has the highest ratio among the BRIC economics, while it was below those of developed economies such as Japan and the US. India is 14 percentage points lower than the weighted average market capitalisation to GDP ratio of 140% for all world economies, said the HSBC report. "I believe that the 76% market capitalisation to GDP ratio could not be a matter of concern for the investors and with the expected improvement in economic performance, the ratio is expected to remain below 70-90% for next couple of years," says Tushar Pendharkar, Equity Strategist- Right Horizons Financial Services. "However, any level above 120-130% would be a signal of market correction and retail investors could shift their investments from equities to safe avenues," he adds. Pendharkar is of the view that to reach the levels of 150%, India's market capitalisation needs to log a CAGR of 25% for the next 4 years, assuming the GDP would grow at a CAGR of 7% during the same period. The S&P BSE Sensex has plunged 800 points in trade in a matter of two trading sessions, while the Nifty has slipped nearly 300 points, wiping out entire gains made so far in 2015. The week ended on a sour note for the Karachi Stock Exchange (KSE) as the benchmark-100 tumbled 700 points on Friday. Led by regional activity and declining prices of global crude, panic investors took the index down almost 1,000 points intra-day before some relief occurred in the second half. At one point, the KSE-100 touched 34,275 points. However, at close on Friday, the index lost 699.8 points or 1.99% to end at 34,519.77. There is no doubt that the Indian market, like your best Friend China's and US market needs a correction. "Don't think you--or anyone else--knows what will happen next. After a market drop, or at any other time, no one knows what the market will do next. The one thing you can be fairly sure of is that the louder and more forcefully a market pundit voices his certainty about what is going to happen next, the more likely it is that he will turn out to be wrong. Stocks could drop another 10% from here, or another 25% or 50%; they could stay flat; or they could go right back up again. Diversification and patience — and, above all, self-knowledge — are your best weapons against this irreducible uncertainty"
But that MC to GDP ratio is all hype. It is not a perfect science. In 2000 when US stocks tanked (you yourself lost a lot at that time, may be Buffet was not your friend at that time), MC to GDP was at 150%. In 2003, when market started picking up it was at 130%. Between 2003-2008(until financial crisis) the US market had a very good run. So how is 150% bad, but 130% good. ?? After a meeting with Pakistani officials in Dubai this month — terrorism-prone Pakistan itself is considered too dangerous a venue — the IMF praised the Nawaz Sharif government’s “commitment and progress” in improving “economic resilience” and promoting growth and private sector jobs. By some measures Pakistan is certainly recovering. Inflation and both the budget and current account deficits are down, while growth should reach 4.5 per cent in the current fiscal year. Foreign exchange reserves have increased to more than $13bn, covering three months of imports. Pakistan’s private investors and independent economists, however, are not as sanguine as the IMF about the performance of a country that has long been a laggard in Asia and is struggling to create the millions of jobs a year it needs to employ newcomers to the workforce. They argue that Islamabad has failed to use the financial windfall from lower oil prices to accelerate reform, has juggled the numbers for the IMF’s benefit to make some data look better than they really are, and has caused severe damage to the real economy with a perverse campaign to maintain a strong currency. “We’ve been here before,” says Sakib Sherani of Macro Economic Insights, referring to the tenure of the military dictator Pervez Musharraf a decade ago when there was talk of Pakistan having turned the economic corner. The IMF and other cheerleaders, he says, “are all talking about something that’s quite different from the real economy: our ability to repay bondholders”. The rise in reserves, Mr Sherani argues, is a “bit like a Ponzi scheme”, because most of the new reserves are borrowed from the IMF and other creditors. As for the reduction of the fiscal deficit, it is based on harassing existing taxpayers more than on an overdue expansion of the tax base or a review of expenditure. “It’s only when you scratch the surface and look below that you find things are not really that great,” he says. Mian Mansha, the Lahore-based tycoon reputed to be Pakistan’s richest man, is equally sceptical about the government’s record on reforming lossmaking state companies and the tax system. “There are only 350,000 people who pay more than $100,000 in tax, and five of them are in my house,” he says. But Mr Mansha’s biggest gripe is about the impact of the strong Pakistani rupee — Ishaq Dar, finance minister, has kept it at about 100 to the dollar despite the US currency’s global strength — on his textile factories and other manufacturing plants. “We are having a very tough time here in certain industries,” he says, noting that other garment exporters such as Turkey have stayed competitive following a sharp devaluation of their currencies. Ashraf Wathra, central bank governor, insists previous devaluations have not helped exports. “There is no correlation at all,” he says. He defends Pakistan’s implementation of the latest IMF programme that ends in 2016 and describes the overall direction as “rather optimistic”. Mr Sharif’s cabinet is also upbeat. Ahsan Iqbal, planning minister, says the current government is turning round the “disastrous situation” it inherited in 2013, and he sets great store by the infrastructure investment now promised by China. The critics are not convinced, either by the future Chinese power stations — which they say look overpriced according to the limited project information available — or by the official economic data welcomed by the IMF. RH WROTE: " Pakistan trades at only 8.4 times forward earnings....For comparison purposes, fellow frontier south Asia markets Sri Lanka and Bangladesh trade at 13.4x and 21.4x respectively." Sara Bongiorni, an American woman from Louisiana, tried to live a year without Chinese products. She found it impossible. She's written a book titled "A Year Without Made in China"
Sir, remember fast growing emerging markets will have moderate to higher PE ratios. That is because companies there are growing at a much faster clip. A lower PE in a non developed market may be a sign - a sign that investors are wary of something. 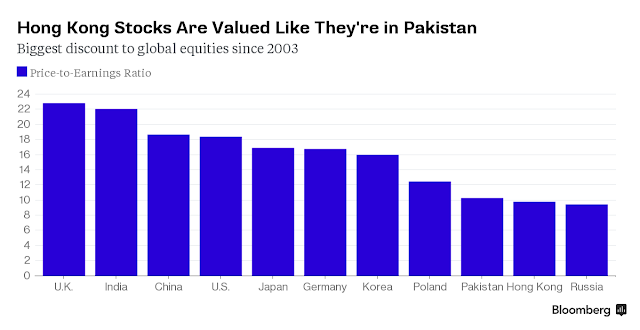 By the way, directly investing in Pakistan is not liquid because there are no specific Pakistan ETFs. Please share on how you have made your investments there and how easy or difficult is it to make online transactions. 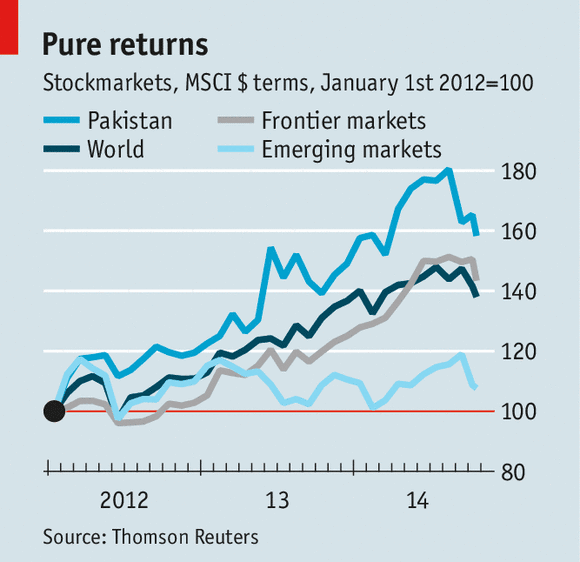 How much of your portfolio do you devote to Pakistan now as opposed to past years? Shabnum: "Sir, remember fast growing emerging markets will have moderate to higher PE ratios. That is because companies there are growing at a much faster clip. A lower PE in a non developed market may be a sign - a sign that investors are wary of something." Pakistan economy is growing at least twice as fast as the emerging and frontier markets other than India and China. And most of the sectors represented on the KSE-100 index are growing even faster than the overall economy. FMCG, Cement manufacturing and construction sectors are booming. Shabnum: "there are no specific Pakistan ETFs"
A Pakistan ETF PAK trades on New York Stock Exchange. Faiz: "Stop talking non-sense please. The "made in china" tag will be replaced by thailand, vietnam, malaysia, india, taiwan, pakistan etc etc in no time. The only losers will be the chinese"
"in no time"?....That's what I call real nonsense!! How long does it take to get all the factories up and running? And what will the consumers do in the meanwhile??? Can they go without food and medicine? Most of the active ingredients (APIs) for medicines made around the world come from China. And if they do find alternatives, how many will be able pay 2 to 3X the prices? Certainly not Indians. Indian pharma will shut down without Chinese active ingredients. And hpw will US build its latest greatest fighter jets without Chinese parts? Will all F-35s production shut down? China's advantage is mostly in lower production cost due to lower labor wages. Modern industries use automation to such an extent that this advantage is reducing consistently. That very much would explain why I am seeing more and more "made in usa" label in Walmart. And also do you think China will not lose if their exports shuts down ? Anon: "And also do you think China will not lose if their exports shuts down ?" Off course it will hurt. But it's more capable of dealing with such a loss than most other countries with much smaller domestic markets. Anon: "That very much would explain why I am seeing more and more "made in usa" label in Walmart." Such "made in usa" labels are often deceptive because the products assembled in US use a lot of Chinese components. Comparing P/E ratios across different sectors let alone countries could be misleading! A company with no earnings has an undefined P/E ratio. By convention, companies with losses (negative earnings) are usually treated as having an undefined P/E ratio, even though a negative P/E ratio can be mathematically determined. 0–10 Either the stock is undervalued, or the company's earnings are thought to be in decline. Alternatively, current earnings may be substantially above historic trends or the company may have profited from selling assets. 10–17 For many companies a P/E ratio in this range may be considered fair value. 17–25 Either the stock is overvalued or the company's earnings have increased since the last earnings figure was published. The stock may also be a growth stock with earnings expected to increase substantially in the future. 25+ A company whose shares have a very high P/E may have high expected future growth in earnings, or this year's earnings may be considered exceptionally low, or the stock may be the subject of a speculative bubble. KARACHI: Karachi Stock Exchange (KSE) fell by more than 1,300 points in the start of the week, ARY News reports. With over 1,300 points down, the KSE-100 index slumped at 33,187. According to details, KSE shed more than 1,300 points just as trading began on Monday morning. IH: "Karachi Stock Exchange (KSE) fell by more than 1,300 points in the start of the week, ARY News reports"
All markets are in free fall, including Mumbai (down 5.94%). Pakistan's KSE-100 (down 3.9%) has fallen less in percentage terms. 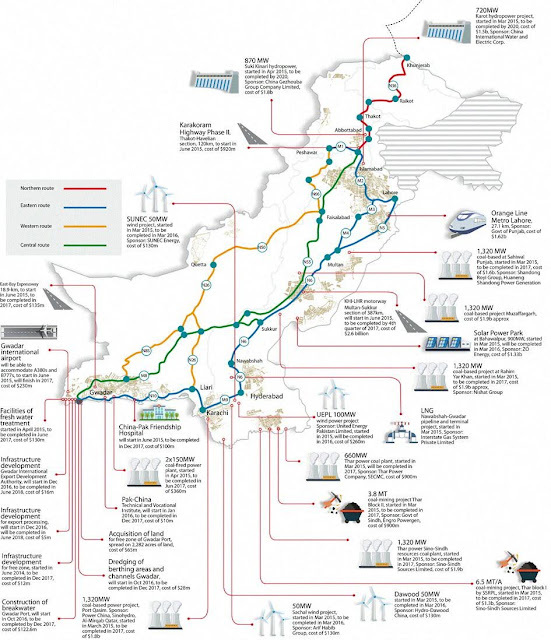 The ADB project report mentioned that Pakistan's domestic investment and trade flows concentrate on one major north-south transport corridor, which connects the key centres of economic activity. Comprising national highways and motorways with a total length of about 1,800km, the corridor runs from the port city of Karachi in the south, passes through primary production and population centres, including Khanewal, Multan, Muzaffargarh, Lahore, Faisalabad, Islamabad and Peshawar, before reaching Torkham, on the northern border with Afghanistan. The economy of the area served by the corridor accounts for 80 85 percent of Pakistan's GDP. As a result of Pakistan's accession to the Central Asia Regional Economic Cooperation (CAREC) Programme in 2010, this transport corridor now forms an integral part of the CAREC Corridors 5 and 6, opening a vital trading link between landlocked Central Asian nations and the country's warm water ports of Gwadar, Karachi, and Port Qasim, on the Arabian Sea, ADB report added. The Motorway M-4 is a key part of the north-south transport corridor. Its area of influence, which includes Faisalabad, Multan, and the entire Punjab Province, accounts for approximately 56 percent of the country's population and 59% of the country's GDP. The M-4 motorway will extend the already completed M-1, M-2, and M-3 motorways southward and shorten the distance between Multan and the twin cities of Islamabad and Rawalpindi in the north. The Faisalabad to Gojra section (58km) of M-4 was completed in 2014 under ADB financing and the Khanewal to Multan section (57 km) will be completed in 2015 under financing from the Islamic Development Bank. The project will finance the construction of the 62km Gojra Shorkot section, followed by the construction in 2016 of the remaining 64km Shorkot Khanewal section. The new motorway will provide a 4-lane access controlled alternative to the existing narrow and congested routes. This will be essential in providing relief for the heavily trafficked Faisalabad and Khanewal Multan Muzaffargarh areas. ADB report revealed that the national highway N-5 is part of the north south transport corridor and Pakistan's longest and most important highway. Its section between Lahore and Multan is a 4-lane road that passes through highly urbanized areas carrying an average daily traffic volume of 20,000 vehicles. The completed M-4 will alleviate traffic congestion along the parallel N-5, and offer an efficient international link between the north of Pakistan and beyond, and southern Punjab, Sindh, and the ports of Karachi and Gwadar in southern Pakistan. More than 70% of China’s trade and energy imports travel through the Indian Ocean and the pirate-swarmed Strait of Malacca, both patrolled by the United States and Indian navies. But this possible chokepoint is a security issue for China, particularly in terms of oil (40% of its general consumption passes through the strait). Any sort of conflict could cut off the country’s energy supply, and ships would need to travel an extra 500 miles to avoid the strait, currently the fastest route from the Indian Ocean to the Pacific. China, aware of this vulnerability, is looking to Pakistan to provide a shorter and safer alternative. The China-Pakistan Economic Corridor (CPEC), first proposed in 2013, is a massive project of rail links, special economic zones, dry ports and other infrastructure projects across Pakistan allowing for direct access to the Indian Ocean. It would connect Gwadar to Kashgar, a major trading hub in China, and abbreviate the current route to the Persian Gulf by more than 10,000 kilometers. Instead of 45 days, it would take China a mere 10 days to get its imports—all while avoiding any potentially contested channels near Taiwan, Vietnam, the Philippines, Indonesia and India, and eventually lowering shipping costs. The CPEC would also provide China with an entry point to the Arabian Gulf, thus widening its geopolitical influence and possibly its military presence in the region. (Some Indian intellectuals suspect the Gwadar port will serve as a Chinese naval facility.) And it only comes at a cost of about $40 billion. It is all part of China’s quest for influence throughout the continent via aid and investment. After decades of shying away from aggressive foreign policy moves, China now wants to play a much bigger regional role and is pushing plans for interconnected infrastructure networks to better link its economy with rest of Asia, the Middle East, Africa and Europe. Think of it as the new Silk Road. Pakistan is an example of a country many investors have shunned due to negative news and perceptions, but our take is that often things aren’t always as sensational as may be reported. We do know that we have found some well-run companies in which to invest. We also believe that Pakistan will attract wider investor interest in the coming years for a number of reasons. We have been investing in Pakistan for a number of years, and see it as an overlooked investment destination with attractive valuations due to negative macro sentiment. Pakistan has benefited from an improving growth outlook, continued efforts toward fiscal consolidation, steady progress in achieving structural reforms under the International Monetary Fund (IMF) program and ongoing support from regional partners. The country’s macroeconomic environment has been improving in recent years. In recent months, easing inflation has allowed Pakistan’s central bank to cut its benchmark interest rate to its lowest level in 42 years. The IMF currently forecasts gross domestic product growth in Pakistan of 4.3% this year and 4.7% in 2016, up from 2.6% in 2010.6 The fiscal situation has also been improving, supported by multilateral disbursements in recent years as well as a recent international Sukuk issuance.7 More recently, lower oil prices have also improved the country’s trade balance, although exports have been impacted by lower cotton prices and a stronger rupee. Elsewhere, we believe government efforts on expenditure control and divestments have been positive, but the government will need to remain committed to the economic and structural reform program. For foreign investors, the most important concerns are security and political stability. An internal anti-terrorism drive was made in the wake of the tragic Peshawar incident in December 2014, which targeted schoolchildren. We think these efforts need to be maintained over the longer term to develop a better security climate for businesses and the society as a whole. In the political environment, delays in the implementation of reforms or deterioration in the political or security situation could adversely impact the country’s macroeconomic development and fiscal position, hinder investment and weaken investor confidence. ....We think it’s an ideal time for Pakistan to implement reforms that will put electric power supply on a sound financial footing, enabling adequate supply at a reasonable price for local businesses that need to be internationally competitive. Despite a number of ongoing challenges, we see many reasons for a brighter future for Pakistan. SO LONG “taper tantrum”, hello “hike hysteria”. As the Federal Reserve has inched its way toward the first rise in its benchmark interest rate since 2006, emerging markets have felt the squeeze. China's stockmarkets have gyrated and plunged prompting a barrage of panicked interventions by the government. The Russian and Brazilian economies are expected to shrink this year, and emerging-market currencies are tumbling around the world. Some worry that the emerging world might be at risk of a repeat of the financial crises of 1997-8, when capital outflows wreaked havoc. To assess countries' vulnerability to a "sudden stop" in capital flows, The Economist has updated its capital-freeze index. Our index focuses on three measures judged by economists to be serious risk factors: the current-account balance; private-sector credit growth; and the ratio of foreign debt to reserves. Each data point is indexed from 0 to 100 to make them comparable. A current account deficit of 10% or more of GDP corresponds to maximum vulnerability, while a surplus of 10% or higher corresponds to minimum vulnerability. A ratio of debt to reserves of 300% or more gets a value of 100, while a ratio of zero is set to zero. And average annual credit growth of 15% or more over three years receives a value of 100, while growth of 0% or less is set to 0. We have calculated the index for 2012 and for 2014, where the maximum risk of 300 is equivalent to the highest possible score across the three measures. There are few surprises at the top of our list, where basketcases like Venezuela and Ukraine sit alongside troubled but less chaotic emerging markets like Turkey and Indonesia. Large oil producers have crept up the list. In 2012 Algeria ran a current-account surplus of more than 5%. Two years later, as oil prices plummeted, it had swung to a deficit of more than 4% of GDP (which is expected grow to 15% this year). Despite this, most large oil exporters remain relatively well positioned to withstand a capital-flow reversal thanks to large reserve surpluses; Russia's reserve hoard has meant the difference between a nasty recession and all-out financial collapse. On the other hand, Venezuela owes four times more than it holds in reserves, leaving it with no cushion against a financial drought. Many emerging markets have reached for credit to prop up their economies amid slowing trade. In Turkey, credit growth has run at double-digit rates for most of the last six years. Credit is playing an increasing role in China's economy as well, where average growth in private borrowing rose to nearly 5% per year in the three years to 2014. Yet its mammoth reserve pile and trade position mean it remains near the bottom of the overall vulnerability measure, recent wobbles notwithstanding. The three factors in our index are not the only ones that matter. Financial openness does too; China can rely on the additional protection of capital controls, which prevent investors from fleeing en masse (though those same controls are an obstacle to faster economic growth). Yet controls are never perfect. In recent months China has sold some reserves to provide support to its currency, which has nonetheless been dragged down by the change in global financial conditions. When the Fed begins hiking rates (as it will eventually, even if it declines to do so at its rate-setting meeting on September 16-17th) the pressure on fragile emerging markets will intensify. The swingeing drops in emerging-market currencies that have occurred so far may be a sign of more trouble to come. With the earnings season about to start, the chart illustrates why the fate of the Indian markets depends on the ability of Q4 earnings to beat expectations. As the chart shows, the Indian market is one of the most expensive in the world, immediately after the US, according to estimates from Citi Research. At the current forward price-earnings multiple, the valuation for the Indian market is well above its mean. To be sure, abundant liquidity, both from foreign and domestic investors, has been driving up stocks. As the outlook for investment in real estate and gold has faded, investors have switched to equities. But the record shows that markets fell in 2010, 2015 and 2016 from levels only slightly above current valuations. It’s time for earnings to catch up and for investors to be cautious.